THERE has always been a certain magic about vinyl. Okay, so a vinyl LP can be scratched and it might hiss and crackle. But it’s so much more real and solid than a CD, let alone a tune downloaded to your MP3 player. 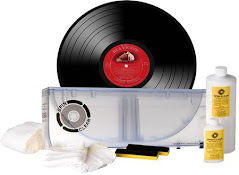 The rituals associated with putting on a vinyl record make it an action to treasure: slipping the disc out of its sleeve; blowing to remove the dust, or else wiping it lovingly with a cloth; lifting the stylus to place it at the beginning of the track you want. Then there are the sleeves: works of art during the days of vinyl, but so much less satisfying on a CD box. Digital is much more convenient and easier to use, but where’s the soul? Given that we are in an era when retro fashion is all the rage, it is hardly surprising that vinyl is beginning to make a comeback. of Montreal Paralytic Stalks Out Now! Less than 200 copies remain of the limited edition fuchsia vinyl (pictured above), so be sure to grab your copy while you still can! All orders include a new FREE 2" x 6" sticker design. Canadian label War On Music Records will reissue several vinyl records from Montreal extreme metal veterans CRYPTOPSY. Two highly renowned classics of the genre, "Blasphemy Made Flesh" and "None So Vile", will be made available as separate LPs, and the cult rarity "Ungentle Exhumation" demos (under license from Galy Records) will be released officially for the first time ever as a limited seven-inch single. In 1963, the Beatles recorded "Twist & Shout" and "I Saw Her Standing There." The band spent ten hours at Abbey Road studios recording the tracks that would make up the bulk of their first album. The Beatles released the song on their first UK album, 'Please Please Me,' and is notable for 11 songs recorded in a mere 10 hours. "Twist and Shout", with John Lennon on lead vocals, was the last song recorded; producer George Martin knew Lennon's voice would suffer from the performance, so he left it until last, with only 15 minutes of scheduled recording time remaining. Lennon was suffering from a cold, and was drinking milk and sucking on cough drops to soothe his throat. His coughing is audible on the album, as is the cold's effect on his voice. Even so, he produced a memorable vocal performance: a raucous, dynamic rocker. He later said his voice was not the same for a long time afterward, and that "every time [he] swallowed, it felt like sandpaper". A second take was attempted, but Lennon had nothing left and it was abandoned. George Martin said, "I did try a second take ... but John's voice had gone." The Beatles' cover was released on March 2, 1964 in the US. as a single, with "There's a Place" as its B-side, by Vee-Jay Records on the Tollie label. It reached No. 2 on April 4, 1964, during the week that the top five places on the chart were all Beatles singles. "Twist and Shout" was the only million-selling Beatles single that was a cover record, and the only Beatles cover single to reach the Top 10 on a national record chart. The song failed to hit #1 because the Beatles had another song occupying the top spot, "Can't Buy Me Love". 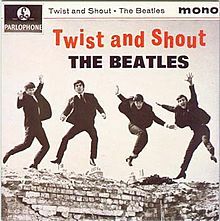 In the UK, "Twist and Shout" was released by Parlophone on an EP with three other tracks, "Do You Want to Know a Secret", "A Taste of Honey", and "There's a Place", from the Please Please Me album. Both the EP and album reached No. 1 (see Twist and Shout (EP)). In Canada, it became the title track to the second album of Beatles material to be issued by Capitol Records of Canada, on February 3, 1964. It is regarded as one of the finest examples of British rock and roll for its vocal performance. The song was used as a rousing closing number on Sunday Night at the London Palladium in October 1963 and at The Royal Variety Show in November 1963, the former signalling the start of "Beatlemania". They performed it on one of their Ed Sullivan Show appearances in February 1964. The Beatles continued to play the song live until the end of their August 1965 tour of North America. Additionally, they recorded "Twist and Shout" on nine occasions for BBC television and radio broadcasts, the earliest of which was for the Talent Spot radio show on November 27, 1962. On their album, "I Saw Her Standing There" starts with a rousing "One, two, three, four!" count-in by McCartney. Usually, these count-ins are edited off the final audio mix. However, record producer George Martin wanted to create the effect that the album was a live performance: "I had been up to the Cavern and I’d seen what they could do, I knew their repertoire, and I said 'Lets record every song you’ve got, come down to the studios and we’ll just whistle through them in a day'." Martin took the count-in from take 9, which was considered 'especially spirited' and spliced it onto take 1. Music journalist Richard Williams suggested that this dramatic introduction to their debut album was just as stirring as Elvis Presley's "Well, it's one for the money, two for the show…" on his opening track, "Blue Suede Shoes", for his debut album seven years earlier. In addition it also made the point that The Beatles were a performing band as, at that time, they opened their live set with this song. On the first American release of the song, issued on Vee Jay Records, the count was edited out—but the "Four!" is still audible. In 1964, at the Colosseum in Washington, DC, the Beatles played their first U.S. concert. 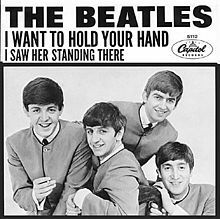 They sang "Roll Over Beethoven," "From Me to You," "I Saw Her Standing There," "This Boy," "All My Loving," "I Wanna Be Your Man," "Please Please Me," "Till There Was You," "She Loves You," "I Want to Hold Your Hand," "Twist and Shout," and "Long Tall Sally." Because of the stage setup, the band was forced to move their equipment three separate times in order to give everyone in the audience a chance to see them. The opening acts were Tommy Roe, the Caravelles, and the Chiffons. In 1966, Cher recorded "Bang Bang." In 1967, the Monkees saw their second album, "More of The Monkees" leap from position 122 to number 1. The Fabricated Four only provided the vocals and were backed by some of the finest studio musicians around, like Glen Campbell and Neil Sedaka. The LP contained the hits, "I'm a Believer" and "(I'm Not Your) Steppin' Stone" and was produced by Carole King, Carole Bayer Sager, Tommy Boyce and others. After being pressured by the press, The Monkees later announced that they would play their own instruments on all future recordings. 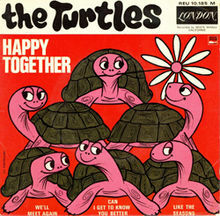 Also in 1967, the Turtles released their biggest hit, "Happy Together," which will reach #1 in the US and #12 in the UK. Co-written by Garry Bonner and Alan Gordon, the song had been rejected by several other performers. The song knocked The Beatles' "Penny Lane" out of the #1 slot for three weeks on the Billboard Hot 100. In 1968, the new and now legendary 20,000 seat, fourth incarnation of Madison Square Garden officially opened in New York City. In 1970, also in New York City, Fleetwood Mac, the Allman Brothers and the Grateful Dead performed at the Fillmore East. The film "The Magic Christian," featuring Ringo Starr debuted in New York City in 1970. In 1970, John Lennon paid 1,344 pounds in fines for protesting the South African rugby team playing in Scotland. In 1979, an audience of 43 million people watched the ABC made-for-TV movie, "Elvis!" starring Kurt Russell, Shelley Winters, Season Hubley, and Pat Hingle. In 1983, the Rolling Stones concert film "Let's Spend the Night Together" opened in New York. In 1986, the single "Superbowl Shuffle" by the Chicago Bears Shufflin' Crew was certified gold by the RIAA. In 2000, a fan attending an Isley Brothers concert in Los Angeles suddenly shot three members of the audience, one of them fatally. He was then killed by police, reportedly shot in self-defense. 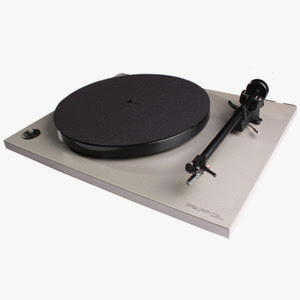 In 2003, the British Phonographic Industry reported that the year 2002 saw the largest sales decline in decades, with the most severe slump in a single year since the birth of the CD market in the early 1980s. Piracy, illegal duplication and distribution of CD's by international criminals were blamed for the decrease. In 2009, the body of singer (Be My Baby, Baby I Love You) Estelle Bennett of the Ronettes was found in her apartment. She had died of colon cancer at age 67.